Riders Anonymous was founded by two guys, Jeff and Nick, who both have a love for riding and an addiction to the trail. After many rides together, and many beers after, Riders Anonymous clothing brand was born. We are a “Rider owned for life” company that supports local riding and local riders. 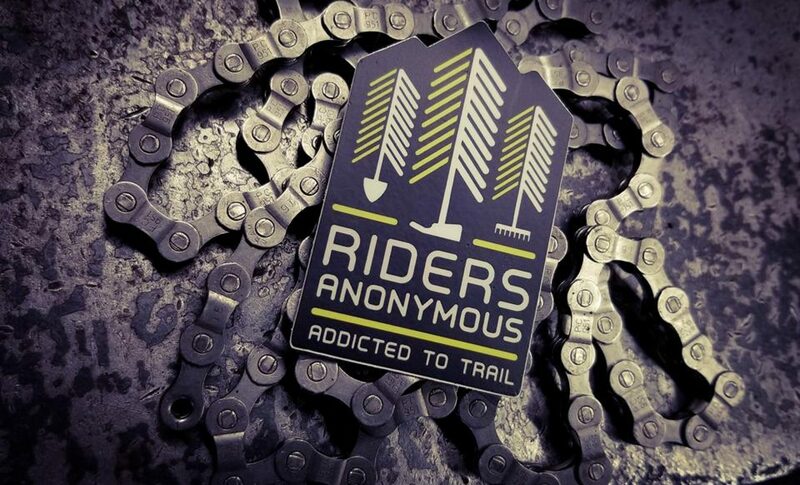 Riders Anonymous is dedicated to helping improve the mountain biking access in our area. Riders Anonymous is involved with the local trail building efforts in the Westsound region of the Puget Sound and works with Evergreen Mountain Bike Alliance, Westound chapter to build trails in our area. Both Nick and Jeff have served on the Westsounds’s chapter board and Riders anonymous is currently involved with the future Port Gamble Ride Park. Jeff wakes up every morning to connect people, so that they may realize their full potential. Riders Anonymous allows Jeff to mix his three passions: bikes, people, and business. When he’s not riding he’s either floating around as a social butterfly or training his mind and geeking out on business models. Jeff’s mission is to build wholeness in communities – And, to turn everyone into a mountain biker. There is no better way to get outdoors and experience all that makes us human than on a bicycle. Nick’s love for riding and addiction to the trail started many years ago when he first picked up a mountain bike. Since that first bike, that he got for free, it has been a progression into a total lifestyle. Now, after a few broken bikes and a broken bone or two, and many many beers, he is still out riding every chance he gets.